The first time I ate this dessert, I had no idea it was made from ice cream sandwiches; I thought it was something amazing and complex in its multi-layered glory. 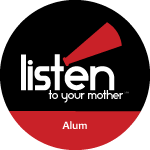 I’m going to walk you through preparing this delicious and extremely simple dish, guaranteed to win friends and influence people. It respects your precious time: I put it together in only 13 minutes, including the photographs along the way. This is actually the first time I’ve used Reddi Whip; I usually use Cool Whip. Either is fine. If we’re out of Hershey’s syrup, I make a homemade chocolate sauce. Here’s an easy recipe. Anything that says “Made with Real Cream” is welcome in my kitchen. The first thing you want to do is determine how many sandwiches you’ll need and the layout for your dish. Arrange them, wrapped. You’ll need two layers. The one sticking out on the side will be broken in half and stacked to fit the small spot in the corner. It doesn’t matter if the sandwiches don’t touch the edges of the dish. These are BJ’s brand and they’re kind of skinny. I needed 19 of them for a 9″x13″ dish. Unwrap and place the first layer of sandwiches in your dish, and then cover with Reddi Whip, Cool Whip, or whipped cream. Drizzle Hershey syrup or other chocolate sauce on top. Repeat the layers of ice cream sandwiches, whipped cream, and chocolate sauce. Feel free to drizzle some down the sides. It will look fancier and disguise the fact that you made this impressive dessert with three ingredients in less than 15 minutes. Did you count the layers? TEN! 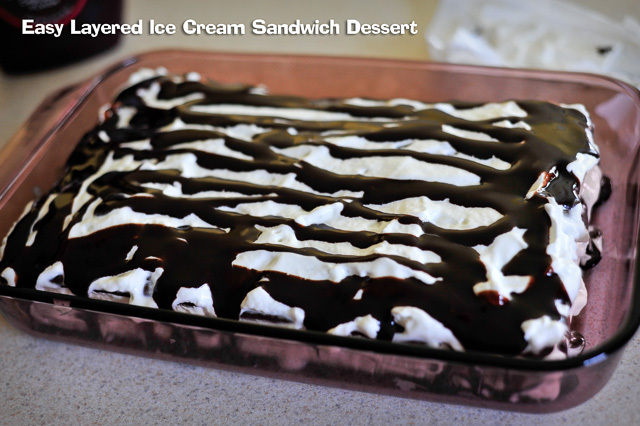 Each ice cream sandwich has three layers, plus two each of whipped cream and chocolate sauce. When you’re finished, just cover and store in the freezer until ready to eat. Don’t mess up the chocolate sauce on top; stick toothpicks in the top to hold up foil or plastic wrap if you don’t have a cover for your dish. 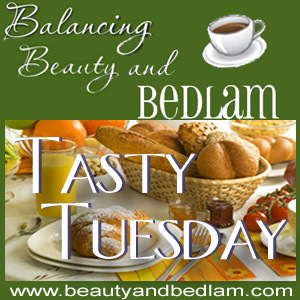 Visit Jen at Balancing Beauty and Bedlam for more Tasty Tuesdays. Oh Dawn, what a difference you’ve made in my life. I love you. OMGoodness… easy and yummy! Perfect! Yum! Ate some yesterday! it’s my mom’s go-to dessert. She makes 2 or 3 and puts them in the freezer for company, church, etc. She has been known to also put caramel sauce and nuts on it, in addition to the chocolate sauce, crazy woman! My s-i-l made this for yesterday’s celebration! YUM! She added caramel syrup with the chocolate syrup–and let me tell you, I can highly recommend this addition. ;) Also, if you want to make it look elegant, you can go lightly on the syrup on top (or skip it entirely) and instead sprinkle chocolate shavings on top of the whipped topping. My s-i-l did this, and it was beautiful!! No matter what, it’s scrumptious! I can’t wait to make this. I have made this before and it is easy and yummy! Glade you discovered it. So fast ,easy and looks delicious!! I love that dessert! We always use Cool Whip, but sometimes mix it up with different ice cream sandwiches, like neopolitan, peanut butter, or even vanilla cookie ones. Oh and crushed up Butterfinger on the top is super YUM! I’m so happy you posted this. I LOVE this and haven’t made it for a few summers. Oh, now I MUST have it! One thing I have added was a jar of cherries. You can mix in the juice with the cool whip for an interesting flavor twist! I have not made this ice cream cake yet but plan to tomorrow for y grandson’s birthday. Thank you so much for the pictorial it helps so much. I going to sprinkle the top with multi colored sprinkles to make it Birthday. I’ll letyou know how it goes.